Which is the Best Plagiarism Checker Choice for Teachers? Formal Definition: An online Plagiarism Checker is a program or a service which searches other documents and text, pdf and web databases accessible on the internet to find the copied piece of content in your paper. This is a long debate that which plagiarism checker is good and efficient enough. A free checker likes Copyscape or smallSEOtools or a paid one like ProWritingAid or Grammarly. Many consider the free plagiarism checks are as powerful as the paid ones. However, this doesn't seem correct in the current scenario. Plagiarism checkers search online records for similar phrases in them. However, not every paper and document which should be looked into is present and accessible. Free tools are very limited in indexing and Web Scraping. A free plagiarism checker may output false positive while checking against an article. For a simple website, blog or a low-quality essay submission, it is quite right to use a free tool. But if this is an important research paper or a quality website you should always prefer to go for a paid one to avoid risks. Since every tool you are using is a business for someone. He or she must earn something from it if (sh)he has put efforts into creating it. Some free plagiarism checkers may keep your data when you are using their tool and then sell it to the other sites. Now, this is very, very dangerous because your paper gets immediately plagiarized when they do it. Here are some of the best (free and paid) plagiarism checker for teachers available to use online. We have tried to add the Software which also tells the percentage of plagiarism in the article. This kind of tool helps to manipulate your content if there is a maximum plagiarism limit is pre-defined. ProWritingAid is one of the premium choices of web content writers, teachers, students, and researchers. Even though they are not free like Viper (See below), you get some of the interesting advantages. Editing Tool suggests good styling improvement while writing. They don't save your content, so you need not worry about self-plagiarism risks*. 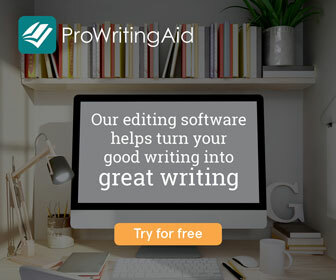 The cost of using ProWritingAid is low as compared to the other substitutes. Regular reports will help you to improve and reduce further errors. Available for nearly every browser and device you use for your writing including Google Docs, Chrome, Windows and Mac. Have a trial period and money back guarantee. 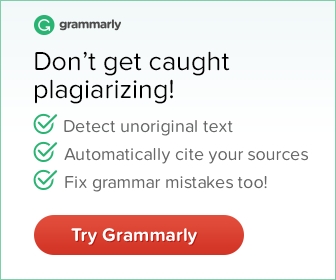 Grammarly is perhaps the most popular editing, spell-checking and plagiarism checker tool on the net. The best part of this multi-purpose copied content checker is its utility. Here are some of the advantages you will receive out of the box. You can use it for free. Cheap Service for plagiarism checker tool. Compatible with almost every writing platform. Have money back guarantee if you are not satisfied with the product. Now one of the most friendly products of web content curators. It is entirely free but as I said earlier "there is no such thing as a free lunch," your data will be used to compare other content for plagiarism checks after three months. Since three months is a significant period, it is perfectly fine to use Viper if you think you don't need your article after 90 days. Plagiarism Checker X is one of the most widely used plagiarism checkers which provides enormous advantages over its other companions. It is used by teachers and students in several universities like King Saud University, IEEE, and American University of Science and Technology. It provides features like bulk checking, one-time payment, cross-checking, detailed report, offline audit. It is supported in windows platform only. MOSS is developed as an open-source utility to detect similarity in software programs. It is used by professors directly involved in computer science and programming work. It is also used by industry professionals since its development in 1984. SmallSEOtool is again an utterly free plagiarism checker available online. It works well for small publishing like a blog and low-quality submission. Since most of the tools come with a fixed number of word limit you can check, this tool will be helpful to use along with them. SmallSEOtools also provide some of the crucial services other than copyrighted content checking like Google ranking for a specific keyword and grammar checker tool as well. Copyscape is a tool you will always hear about when it comes to the necessary plagiarism check. You need to enter a URL, and it will output how many of other websites have similar content like yours. Here they don't provide a space to write your article or to upload your document. You Need to save it on your personal or someone else's servers and then put that URL in their input bar. It is the primary and straightforward system to use. Nowadays, everyone is searching for the alternatives of Turnitin. But still, the popularity of Turnitin is not falling to the earth. This is the first tool for checking plagiarized and stolen content checking and reporting. However, this website uses your content to compare and provide your content to the other sites after a certain period, this is again vulnerable to the self-plagiarism risk*. A very few of us know that CrossCheck from IEEE is now available to check for multiple submissions and plagiarism in brief for teachers and students. It is also available through APIs and their direct portal. Self-Plagiarism Risks: Some of the websites save your article when you use their tool to check plagiarism. These websites use this content to compare other documents and provide them to other users to analyze their content as well. However, they claim not to use this data until a certain period, this may lead to self-plagiarism dangers to you. Next time, whenever you will try to use this content to submit somewhere, it would be already available online and might cause plagiarism. Many academicians agree that the war against content privacy and information protection is a never-ending battle. Since only those content can be checked online which are present online, no tool can be 100% correct. However, good plagiarism checker software can save your hundreds of hours by finding similarity in your content. This can be intentional as well as accidental. If you only want to check the IEEE databases using CrossCheck is also a preferred choice. I want to get removal of plagiarism from my thesis. Hi, LK. Please share in detail. I suggest you to have a look at PlagiarismcheckerX. The best available tool right now. 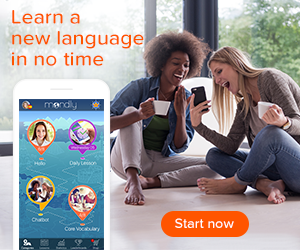 Or you can use Grammarly Premium. Don’t use free ones as they are dangerous. I am glad to know you find the article useful. Thank you. There is a popup jumps up when you browse the site. We will add a subscription form soon.